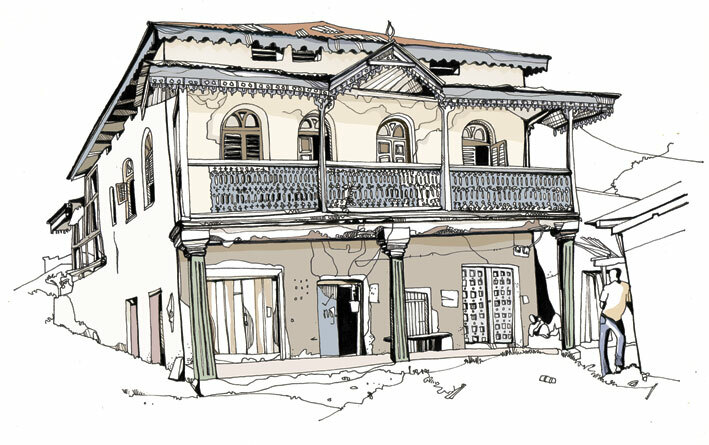 One of the most majestic buildings on Pangani’s now sleepy India Street, Mzee Kibanana’s house is a legacy of the Asian merchants who traded ivory, sugar, copra and other goods here from the mid 19th century onwards. Can an African city that is intent on forging ahead economically hold onto its architectural heritage while encouraging new development? Asks Julia Vitullo-Martin in her piece about Dar at untapped cities. 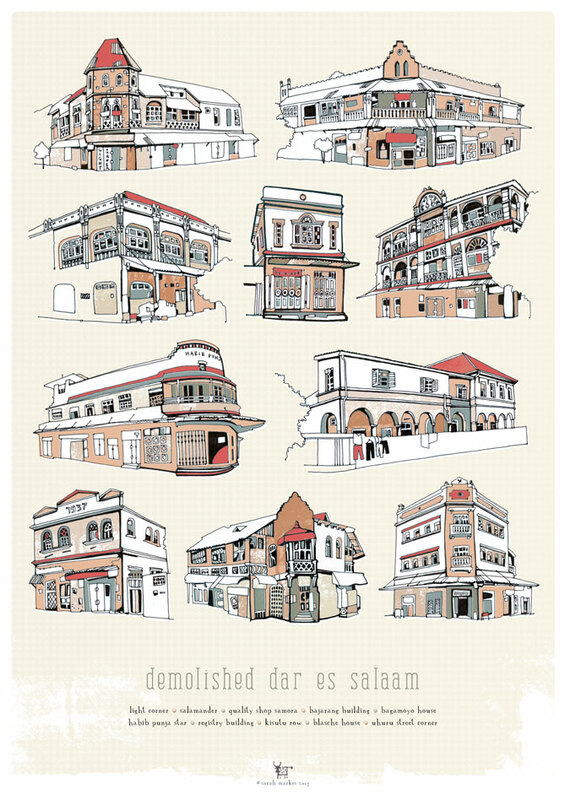 New print of ten of Dar’s demolished buildings now available at the green room, dar.